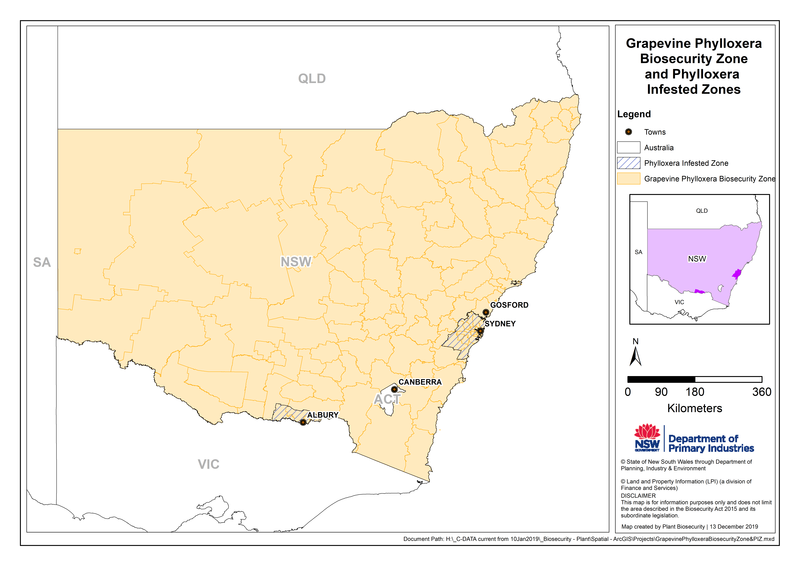 Grapevine phylloxera, Daktulosphaira vitifoliae, is a small (up to 1 mm long) aphid-like insect that lives and feeds exclusively on the roots of grapevines and occasionally in distinctive galls on grapevine leaves. Phylloxera originates from eastern North America, where it lives on native grapevines. However, the insect is now present in most of the world’s viticultural regions as a result of the movement of phylloxera-infested grapevines, especially in the late 1800s. European (Vitis vinifera) vines have little or no tolerance to phylloxera feeding and almost always die. The species is thus regarded as the world’s worst grapevine pest.